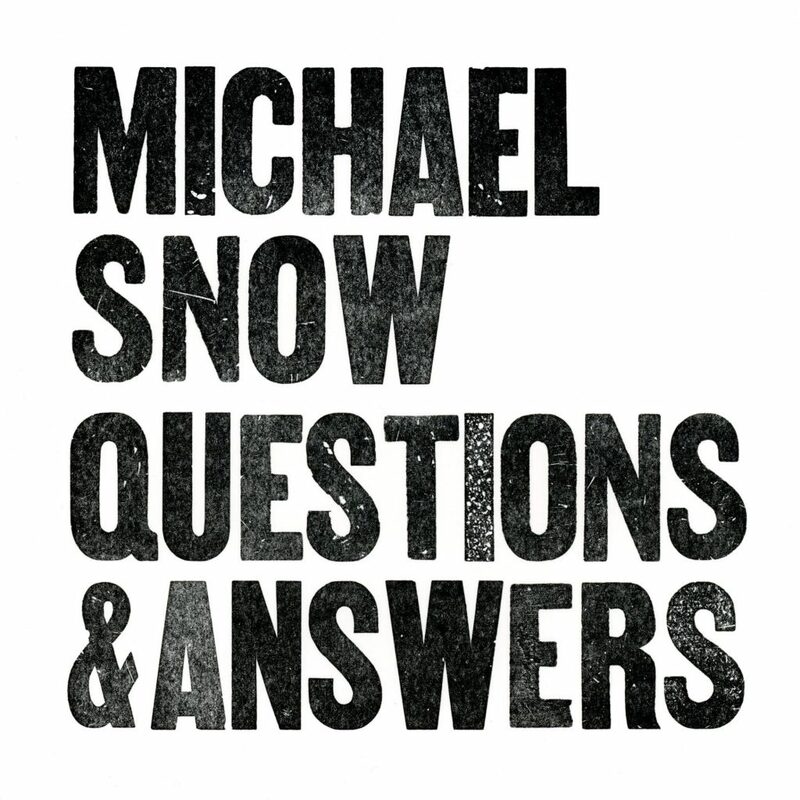 For an interview with legendary Canadian artist, filmmaker and pianist Michael Snow, curator Joseph del Pesco and artist Euan Macdonald posed fifteen questions and Snow replied with short musical improvisations. Snow has, since the late 1940s, been a virtuosic jazz pianist, and has achieved such fluency with the instrument that his replies are quasi linguistic, communicating at the edge of language through variations in speed, intensity, and rhythm, through repetition and timbre, through the melodic and the dissonant. The questions are followed by an Epilogue, offering reflections on the subjects raised by the questions. Co-published by KADIST and THE THING Quarterly, a 7 inch record of the album was released at the New York Art Book Fair, in September 2016, and was available in an (now sold-out) edition of 250.